PART I: "DOING THE NORMAL: EXPLORING INSTITUTIONAL PRACTICE"
PART II "WHAT THE NORMAL DOES: EXPLORING INSTITUTIONAL DISCOURSES"
PART III "RESISTING ACADEMIC NORMALITY: A ROOM OF OUR OWN"
Although Swedish social science research, and in particular the work on the welfare state, is renowned throughout the world, too little of that research is known to an Anglophone audience. This excellent volume, on Normalization and “outsiderhood”, edited by Siv Fahlgren Anders Johansson and Diana Mulinari, will go some way towards redressing that balance. For one, it provides an insight into the neo-liberal welfare state in Sweden –a phrase that some might consider a contradiction in terms. But Sweden’s popular cultural ascendency in recent years, and in particular the Wallander tv/film series by Henning Mankell, and the Stieg Larsson novels (The Girl with the Dragon Tattoo etc) have already produced a new image of Sweden as a much darker place than the clean lines of Ikea furniture and of Swedish design, not to mention (irony!) its seemingly exemplary history as a welfare state and its enviable reputation for equality politics and practices, might lead one to expect. That darkness is illuminated in new and different ways in this volume through the interrogation of normalization processes in Sweden as they occur in the inter-relationship, or intra-action, as Karen Barad more intimately would have it, between Swedish welfare state institutions and the citizen. The phrase ‘normalization processes and practices’ smacks, for an Anglophone audience, of functionalism and the quasi-mechanistic adoption of standards and norms that render individuals cogs in wheels. But in their informative introduction Fahlgren, Johansson and Mulinari highlight how the historical context of the adoption of normalization processes and practices in Sweden in the post-World War II era was, in the first instance, an expression of the inclusivity (and, indeed, conformity - the latter is, of course, not a positive term in any kind of critical politics) designed to decrease inequalities and to achieve social justice. The definition of normalization as the right to be treated as ‘normal’ rendered normalization as ‘something common, desirable and achievable by all’. Fahlgren, Johansson and Mulinari then argue that normalization became ‘a movement from below’, accepted by the vast majority of Swedes who embraced the idea of ‘normality’ as a desirable state. It should perhaps be said in this context that ‘normal’ in Swedish has somewhat different resonances from the meanings that attach to it in English – the closest word in English is probably ‘usual’ (as in ‘We usually eat at seven.’). Thus it has a normative dimension as well as an association with statistical frequency or probability. Phrases such as ‘in the normal way of things’ also capture its Swedish meaning reasonably well. Fahlgren, Johansson and Mulinari, and indeed all the contributors to this volume, show very clearly how such notions of normalcy, of normalization and normatization, operate not only to create an integrating and equalizing context but also, and much more critically, how these processes and practices serve to exclude certain groups of people, and produce a structural inequality that in recent years has been discussed under the term of ‘utanförskap’ or outsiderhood. That status has, the contributors argue, erased other markers of inequality, to suggest a group of people lacking subject status and agency, and in need of integration through various forms of ‘socializing’ intervention. Critiquing these interventions, the contributors to this volume show how diverse groups of people - immigrants, families considered ‘at risk’ by social services, pregnant women, young girls – are variously the objects of context-specific normalization processes and practices that make any resistance to such interventions difficult, if not impossible since what people ‘normally do’, as Katja Gillander Gådin, for example, puts it, cloaks that ‘normal doing’ into a fog of invisibilization that suffocates any form of protest. Normalization thus takes on specific forms of repression in particular circumstances, for instance through the ethnocentric imposition of norms of behaviour on migrants where that ethnocentricity is neither made evident nor acknowledged, as Ulrika Schmauch and Gunilla Olofsdotter in different ways argue. Anders Johansson shows how this system of normalization operates in schools, resulting in the reproduction of inequalities and discrimination from an early age. Indeed, childhood emerges as a key site where normalization processes are at work. Eva Söderberg analyses the uses to which Pippi Longstocking, the protagonist of the Swedish children’s books by Astrid Lindgren, is put. Renowned for her divergence, non-conformity and rebelliousness, Pippi in the 2000s resurfaced in adult form as Lisbeth Salander in the Stieg Larsson novels already mentioned. Söderberg intriguingly suggests that the character traits that made Pippi the erstwhile heroine in the fight against rules and regulations have now become normalized as part of what contemporary female ‘role models’ might be, and thus lost their critical edge. One might then ask about the extent to which versions of the out-of-control girl well-known in the Anglophone context from the ‘ladette’ syndrome to Amy Winehouse, or the geek scientist girl in CSI: Miami, for example, in fact continue to represent rebelliousness as critique, or instead signify the incorporation of certain forms of resistance into the ‘normal’. Altogether, this volume presents an illuminating analysis of the ways in which normalization processes and practices operate, in an age when even the Swedish welfare state is in the grip of neoliberalism. Here ‘the normal’ or ‘the usual’ becomes a means for re-interpreting structural inequalities in terms of individual choice, and for displacing the responsibilities for change onto those positioned as outsiders. Worryingly, the individual chapters highlight how the operations of normalizing processes work to obscure their functioning, thus making any critique of both the underlying assumptions and their operationalization almost impossible. The face of the Swedish welfare state seems less fair, less inclusive and more coercive in this light. Each book in this series focusses on the relations between individual subjects and the social, discursive and spatial relations within which they are produced, and produce themselves, as subjects. Normalization and “Outsiderhood” is an exciting addition to this series as it goes straight to the heart of relations between what it means to be an individual, and to be, simultaneously, a member of the social. Each chapter focuses on the processes of normalization from a fresh and unexpected perspective showing how the forces of normalization are always present and always potentially harmful, even in their most apparently benign forms. Some of the papers tackle the newly installed neoliberal governmentality in Sweden, opening up for inspection the nature of normalization under neoliberalism. The book opens up for critique the ways in which neoliberalism impacts on what will count as “normal”, and it asks, from a feminist perspective, how the forces of normalization work on individuals to appropriate them within neoliberalism’s conditions of possibility (and, of course, impossibility). This topic is of particular interest to all readers throughout the globalized world, not least because Sweden forms, in some important ways, an exception to what has been happening elsewhere. While the dominant mantra of neoliberalism is that there is no alternative to neoliberalism, and while neoliberalism actively discourages critique of itself with this mantra, the questions that are raised in this book show how necessary and how interesting such a critique might be. This book opens up questions that have been foreclosed in other contexts, since Sweden has maintained a stronger commitment to the welfare state than other capitalist economies, and has, only recently, embraced neoliberalism. Since individualism is intensified under neoliberalism through increased competition, vulnerability and fear, it is relevant to ask how a commitment to social well-being and neoliberalism might co-exist (Davies, 2010). Based on the economic theory of Hayek (1944), and re-habilitated and mobilized by both right and left governments over the last three decades, neoliberalism is a formidable force that is extraordinarily difficult to resist. According to Deleuze and Guattari (1987), capitalism itself is schizophrenic. It seeks to control its labour force in order to extract maximum productivity from it, while at the same time enhancing the production of new and creative ideas. It is constantly in flux, breaking things open to bring about new ideas and at the same time it depends on the state to be regulative in order to channel that creative energy toward the flow of capital. I have argued elsewhere that neoliberalism channels a great deal of state resources into control and regulation at the expense of the production of new and creative ideas (Davies 2010, Davies and Gannon 2009). Neoliberalism convinces individuals they are free (that is, that their lives are directed by their own will), and at the same time it shapes them to be whatever capitalism wants. It concertedly heightens individual competition through actively increasing individual vulnerability (in part through removing responsibility for citizens’ welfare from state to the individual, and in part through concertedly removing job security and reducing the power of unions). Each individualised subject thus feels impelled to maximise his or her own advantage within the threatening and constraining order of things. The individualized subject of neoliberalism, must become a chameleon, able to appear to be whatever a particular workplace wants, able to change in whatever way the workplace deems will maximise its productivity, ready and willing to move on to a new workplace if the old one no longer needs it or finds it valuable. At the same time the individualised subject of neoliberalism must perform itself as one who is not only original, but more original than the others with whom it competes for limited jobs and resources. The only driving force that is legitimate for neoliberal subjects is the market, with its imperative of maximising the global flows of capital, and, implicitly, the flow of capital towards the wealthy and away from the poor. The nature of these flows is not necessarily visible or of interest to the individualised subject, who is more concerned with the fantasy of the flow of capital in its own direction. Insofar as the neoliberal individual is set loose from any remnants of conscience or collective responsibility, since capital has become the sole value, the state must serve primarily as a surveillance agency for monitoring and controlling these newly formed Hobbesian individuals, whose desire for wealth and whose fear of non-survival, drive them to perform themselves as the maximally productive, competitive subjects of neoliberalism. There is a bonus for government created by this heightened individualism embedded in a regime of fear. Individualized egos must be defended at all costs, since they are intensely aware of their potential demise. Every threat to the survival of the ego creates a wound, and the wounded ego seeks, ever more avidly, confirmation of its survivability. Neoliberal organisations exacerbate this neediness first through intensifying fear (by, for example, limiting funding and making jobs less secure), and second through presenting themselves as a major source of affirmation for the wounded ego (inviting individuals to engage in contests tightly linked to those performances the institution wishes to extract from them). The need for affirmation in turn legitimates the inordinate resources spent on surveillance and control. These contests also function to drive a desire for uniformity as each subject struggles to perform him or herself as worthy of being recognized and affirmed through successive small acts of recognition. The desire for affirmation is generated first through individualized fear linked to limited resources, and second as an institutionalized imperative for individual survival. Within neoliberal organizations difference is a threat to the organization and to the individual. The best chance for institutional and individual survival rests on everyone agreeing to be whatever it is that capital wants. Resistance is dangerous. Originality is dangerous. Critique is even more dangerous as it potentially undermines the perceived value of the affirmations that the individualized subject must want to pursue. Neoliberalism is thus a highly conservative force. It produces vulnerable subjects willing both to conform and to exploit themselves for their own individualized self-survival, dividing them against each other, breaking up the co-implicative processes through which critique and transformations can be generated. Here is where the power of this book lies, as it turns its reflective gaze on just these profound contradictions that lie at the heart of the neoliberal state. How has Sweden balanced the extremes of neoliberalism and state responsibility for social well-being? What these studies show, in delving into the processes of normalization in the Swedish welfare state, is not a panacea for global ills, but how we might begin to critique the complex set of bureaucratic and relational processes that come at a considerable social cost. The forms of surveillance that neoliberalism puts in place readily map onto the forms of surveillance of the welfare state, making them apparently innocent and thus invisible. Neoliberal surveillance, is legitimated by the heightened productivity we must all engage in, and works through fear of being cast out in the heightened competition that the market engenders. Welfare state surveillance, in marked contrast, is intended to catch those who are not coping in a web of care through which their survival will be ensured. What these studies find is that the surveillance practices directed originally at well-being readily become, in effect, a brutal neoliberal agency for the production of “outsiderhood”. This book sheds important light on the interface between the brutal realities of globalised economies and national commitments to the social good, presenting that interface, not as a deterministic set of inevitabilities – “there is no alternative”, but as a means of seeing current practices as not “normal”, not desirable, and not inevitable. This is so, because central to the Swedish welfare state is just this kind of questioning that this book lays out, questioning that can and does lead to better ways of doing things. Critical studies such as these thus open up critique, and critique enables us to break loose from the already known, habitual practices through which the familiar, globalized world is produced. It opens up the ethical possibility that we might produce difference in ourselves rather than sameness, and that we might open ourselves up to new knowledges and practices. Poststructuralist researchers are not interested in representing a pre-existing order of things, but in changing how they are thought and thus how they are produced. This book, edited by Siv Fahlgren, Anders Johansson and Diana Mulinari, is just such a book. It does not set out to produce the ‘truth’ about the nature of normalization. Rather they open up new ways of imagining subjecthood itself and how it is co-implicated in social change. Foucault (2000) made an important distinction between two kinds of knowledge: savoir and connaissance. Savoir involves doing work in order to know differently, and in the process, being modified through what one comes to know. Connaissance makes possible the knowledge of objects, that is, it makes those objects intelligible, while leaving the subject, the determinate knower, untouched. This book generates savoir— knowledge that opens up the possibility of experimenting with and experiencing life differently. Siv Fahlgren, a lecturer in Social Work and Associate Professor in Gender studies at Mid Sweden University, is part of the pioneer generation that has introduced gender studies as an important discipline in Swedish academe. At the same time she has brought necessary critical gender impulses to her original discipline, social work. In her doctoral dissertation 1999, one of the first discourse-theoretical texts in Swedish gender studies, she developed discourse analysis as her research strategy. This strategy she has subsequently applied in her research, for example on memory work (Fahlgren, 2005; 2009), analyses of university textbooks (for example in Fahlgren & Sawyer (2011) showing how differences are created and how the positions of the author/reader are normalized in terms of gender, race/ethnicity and class), and finally on interviews such as in her chapter in this book. Anders Johansson is a lecturer in Literary Studies at Mid Sweden University. His doctoral dissertation, Poesins negativitet, [Negativity in Poetry] examined the theoretical context that connects Karl Vennberg’s poetry with literary criticism (2000). Another research area has been to challenge existing pedagogical work from a gender perspective (Fahlgren & Johansson, 2010), here exemplified with a social work textbook. The analyses show how the normalization of what is seen as central and what is seen as less important within the discipline reproduces patterns that challenge feminist standpoints, and how pluralism and discrimination can thus actually coexist. His critical re-reading of Swedish reports on structural discrimination and equality from the 2000s, exemplified in his chapter in this book, has been met with great interest. Diana Mulinari is a sociologist and Professor in Gender studies at the University of Lund, Sweden. She has for a long time been an important critical voice in Swedish feminist discourse, highlighting the importance of analyzing the ways in which gender is constituted by as well as constitutes social relations such as class, sexuality and race/ethnicity (Mulinari & de los Reyes, 2005). An important part of her scholarly efforts lies in understanding migration, exile and transnational family practices as gendered, as well as in exploring the specific forms of gender racism that characterize the Nordic Model (Mulinari, 2008), which is explored as well in her chapter in this book. She has also taken a great interest in exploring the ways that gender matters in neoliberal globalisation with special focus on forms of resistance and solidarity (Mulinari & Rätzhel, 2009). Davies, B. (2010). The struggle between the individualised subject of phenomenology and the multiplicities of the poststructuralist: the problem of agency. Reconceptualizing Educational Research Methodology, 1(1) 54-68. Davies, B. and Gannon, S. (2009). Pedagogical Encounters. New York: Peter Lang. Deleuze, G. and Guattari, F. (1987). A Thousand Plateaus: Capitalism and Schizophrenia. London: Athlone Press. Fahlgren, S. (2005). The Art of Living – or the order of the living room sofa. Nora 1, 59-66. Fahlgren, S. (2009). Discourse Analysis of a Childcare Drama - or the interfaces between paradoxical discourses of time in the context of social work. Time & Society, 18 (2/3), 208-230. Fahlgren, S. & Johansson, A. (2010). 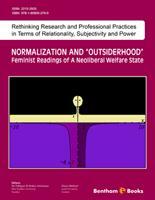 Reading normalised knowledge production from a feminist perspective - a case study. The IARTEM eJournal, 3 (1) 25-45. Fahlgren, S. & Sawyer, L. (2011). The power of positioning: On the normalisation of gender, race/ethnicity, nation and class positions in a Swedish social work textbook. Gender and Education, doi:10.1080/09540253.2010.511605 . Mulinari D. & de los Reyes, P. (2005). Intersektionalitet (Intersectionality). Liber: Stockholm. Mulinari, D. (2008). Women Friendly? Understanding Gendered Racism in Sweden. In K. Melby, A-B. Ravn & C. Carlsson Wetterberg, (Eds. ), Gender Equality and Welfare Politics in Scandinavia: the Limits of Political Ambition? (pp.167-182). Bristol: Policy Press. Mulinari, D. & Rätzhel, N. (2009). The Promise of the “Nordic” and its Reality in the South: The Experiences of Mexican Workers as Members of the “Volvo Family”. In S. Keskinen, S. Touri, I. Sari & D. Mulinari, (Eds. ), Complying with Colonialism (pp. 67-83). Aldershot: Ashgate.